**Densely layered, transportive field recordings transformed into mysterious, acousmatic tones, drones and textures. Make sure to check the cochlea-caressing gong tones of 'Part Two' and the murky aquatic interzone of 'Part Four'! ** "It was a cavernous tone that broadcast from a ventilator duct that inspired Patrick McGinley to begin collecting field recordings and working them into his slow-arc compositions. At the time when he heard that particular tone in that particular city at that particular time, he had no gear to recording device on hand. Over the next fifteen years (and counting) McGinley has eased into a peripatetic lifestyle, wandering the European countryside and forests (but never straying too far from the thrum and spark of civilization) in search of the same epiphany with his head rattled to the sound of a cavernous air duct. 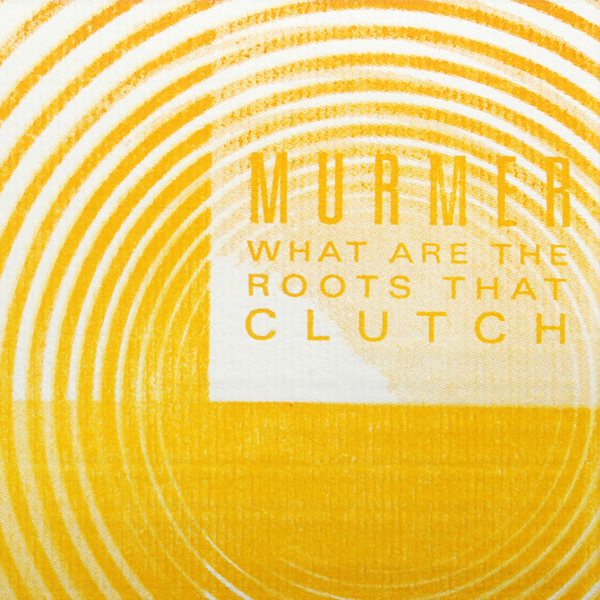 Around 1996, McGinley adopted the moniker Murmer for his compositional work; and though his work often steps into the quieter realm of sound construction, much of his field recordings and resultant compositions privilege interference and disturbances that occur within any given sound ecology. Those sounds could be the elusive tone from that ventilator, the polyrhythmic chorus of chirping frogs, the abstracted roar from an Arctic wind tearing across the Black Sea, or the metallic skree from a bowed antenna perched atop a Soviet-era observatory. What Are The Roots That Clutch marks McGinley's first full album in nearly 5 years, but it marks an elegant continuation of his previous album We Share A Shadow. The five chapters of this album can't easily be associated with any specific location; instead McGinley overlaps and crosshatches his field recordings and abstractions into acousmatic passages with ghostly, half-melodic qualities. Even the two unprocessed recordings of the album are impossibly complex in their accretions of sound. McGinley's composed pieces embrace lithe, mysterious drones whose mossy, damp atmosphere perfectly situate with tactile crunches, tactile events, and signal noise generation. Eels and leaches would not be out of place in such an environment; but the subaquatic murk snaps into a hallowed manifestation of ritualized minimalism at the album's finale -- one that LaMonte Young and Angus Maclise might have conjured in 1968 with clattering percussive elements and a hypnotic blur of harmonic drone."